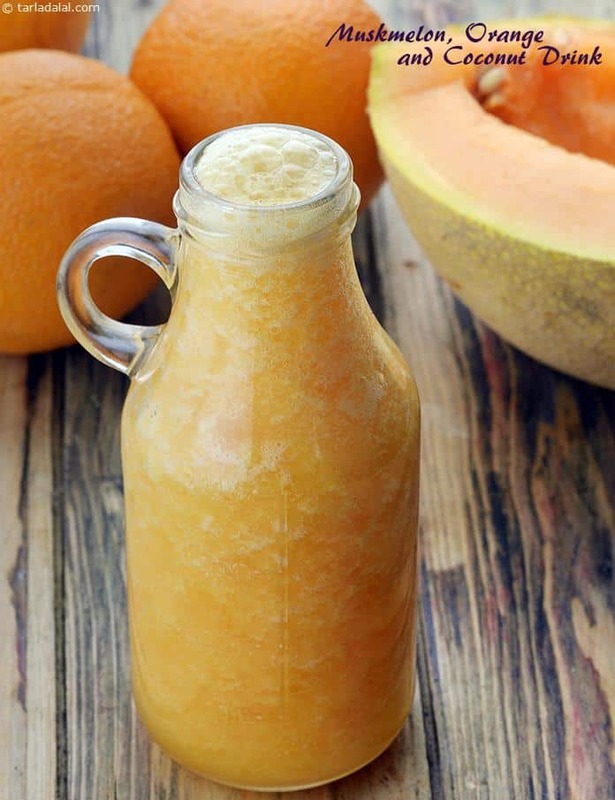 Just because summer is officially done for the year doesn’t mean we’re done with fruit or delicious cold drink recipes! Sometimes it’s nice to enjoy a drink that tastes a little bit like summer even once the weather has cooled down, just as a reminder of warmer days. 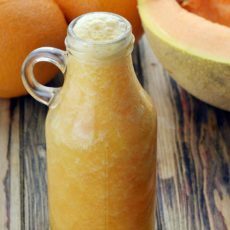 Of course, there are plenty of delicious fruit flavours you could make refreshing tasting beverages out of, but we have one clear favourite in hour household when it comes to making fruit based drinks. We simply can’t get enough of making things from coconut! 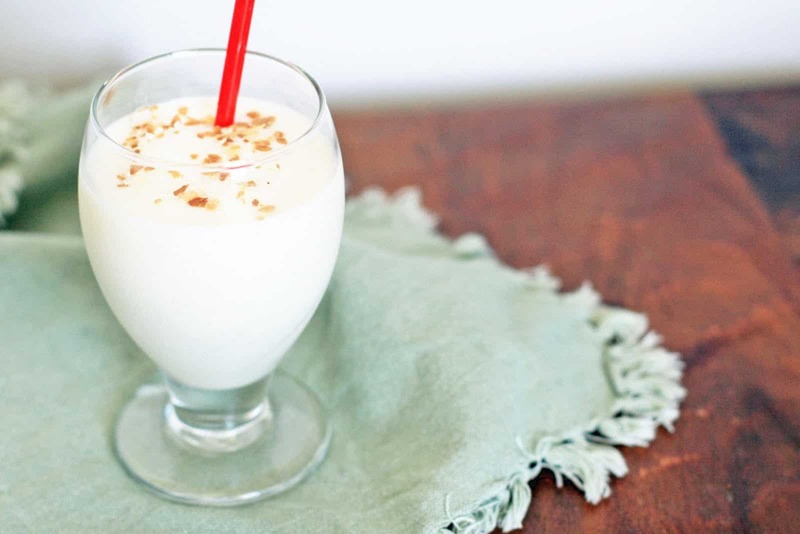 We adore coconut based snacks and meals too, but there’s just something about a cool, fragrant coconut beverage that makes us feel very pleased indeed. 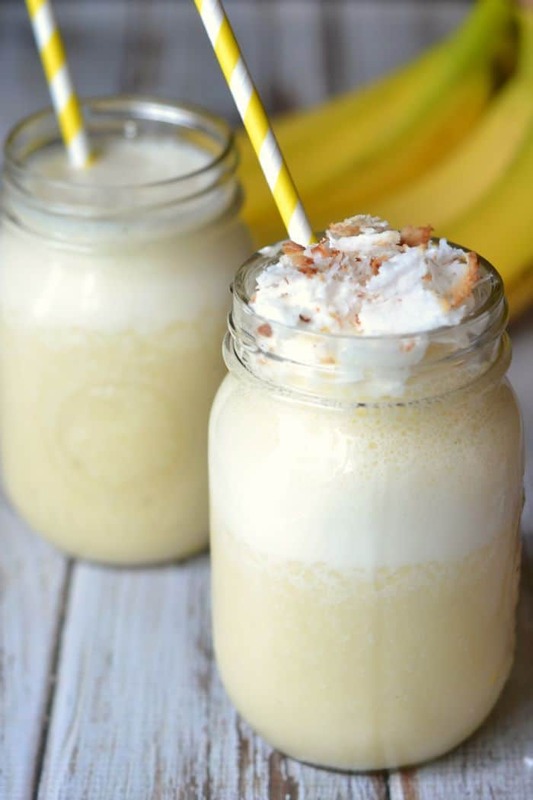 Just in case you adore the flavour of fresh, unique coconut drinks just as much as we do, if not more, here are 15 of the very best recipes and ideas that have caught our eye (and then attention of our tastebuds) over the years! Even though you’re craving a fresh, fruity drink, are you still the kind of person who has always preferred very light, subtle tastes rather than flavours that are very concentrated or sweet? 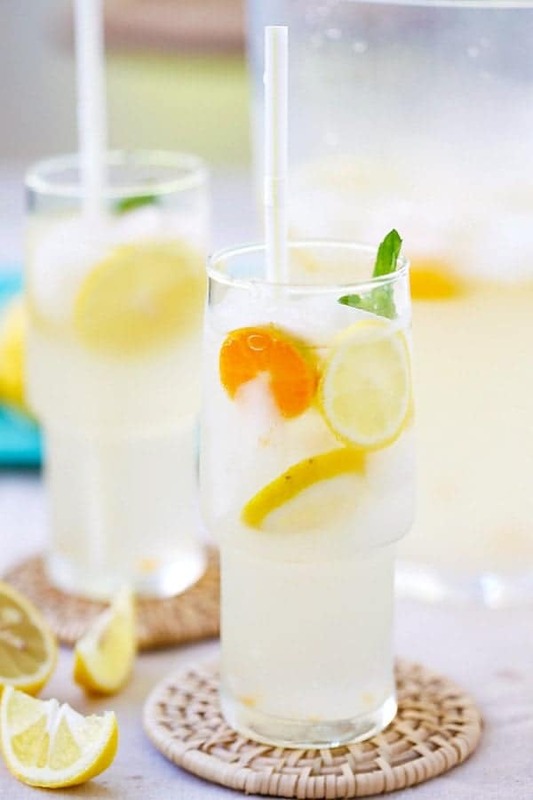 In that case, we have a feeling you’ll get along very well indeed with this fantastic coconut water lemonade outlined step by step on Rasa Malaysia! 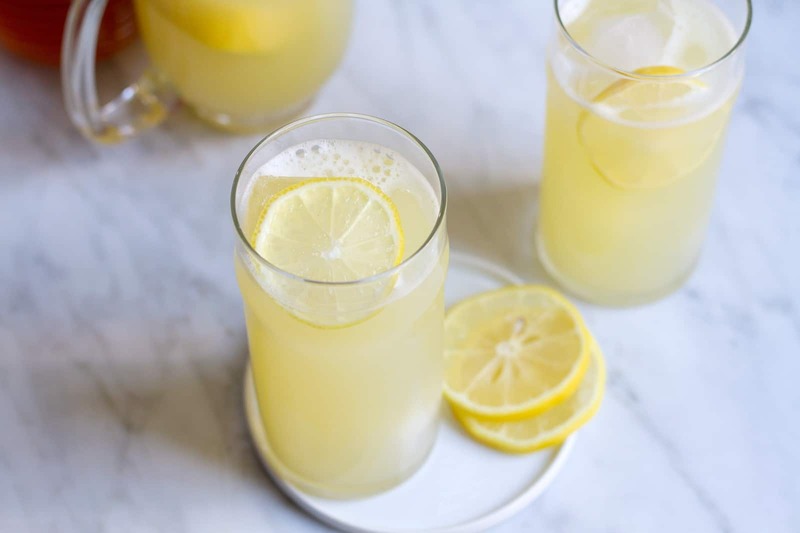 We adore the way the that adding coconut water to your lemonade not only gives it a slight coconut tastes, but also tones down the acidic taste that a lot of lemon juice often brings with it. Is it actually still quite warm where you live, so you’d been thinking about how the weather is still perfect for flavourful frozen drinks that really pack their own chill? Well, we’re absolutely with you on how great a nice, cold drink can tastes at the end of a long day. Sometimes we even prefer that to something like an ice cream treat if the flavour is right and, with coconut based things, the flavour is always right, if you ask us! That’s why we loved this frozen coconut recipe with shaved and toasted coconut sprinkle on top, outlined by Have A Cocktail. 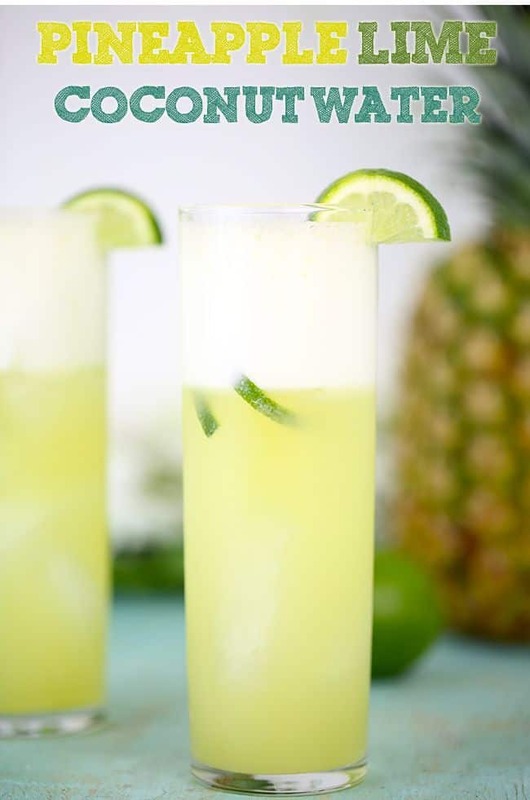 Well, we know that not every flavourful, enjoyable fruit based drink has to be a cocktail, or even have any kind of alcohol in it, but we also know how relaxing it can feel to enjoy a cold drink with a shot in it at the end of a long, hard work week. 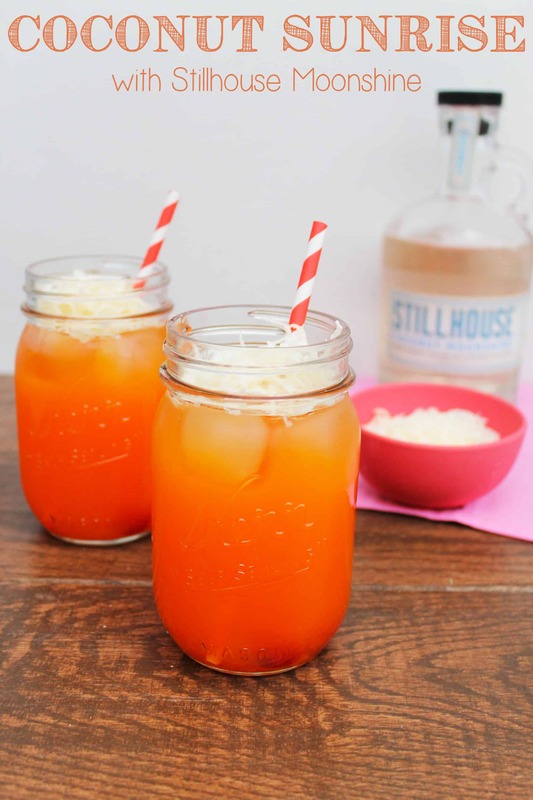 We’re sure you can imagine, then, just how pleased we were to come across this delicious coconut sunrise recipe featured on Lip Gloss and Crayons that’s a perfect mix of alcohol, coconut flavour, and yummy fruit juice. 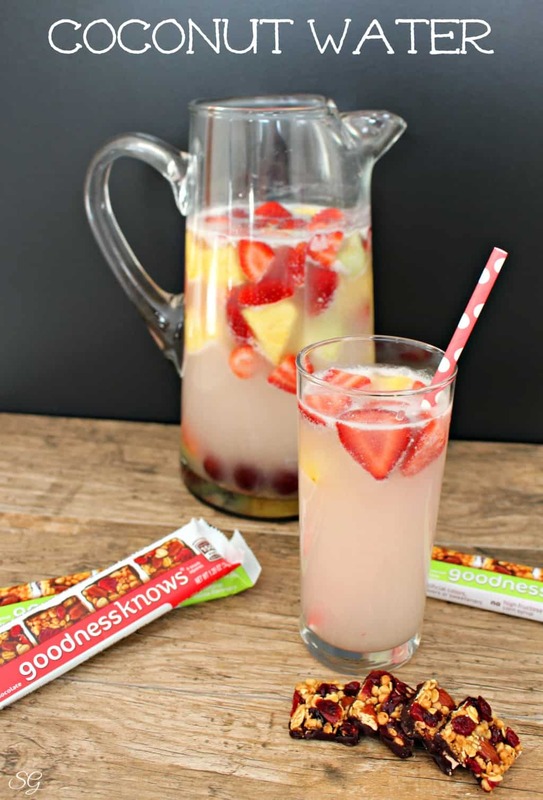 Did we really catch your attention when we started talking about the idea of making lemonade with coconut water for a slightly more tropical and yet subtle taste, but you think you might actually prefer to get a little more creative with your combination of fruits? In that case, we’d definitely suggest taking a look at how Cutefetti made something similar but even more fruity by replacing lemon juice with fresh lime and pineapple juices instead! What if you’re actually usually a warm drink lover but you just haven’t quite made the transition over into hot beverages yet this fall because the weather outside has been unseasonably nice where you live? Well, we think you’ll be pleased to know that there are absolutely yummy ways for you to combine tea, coconut, and a refreshing cold temperature all in one place. 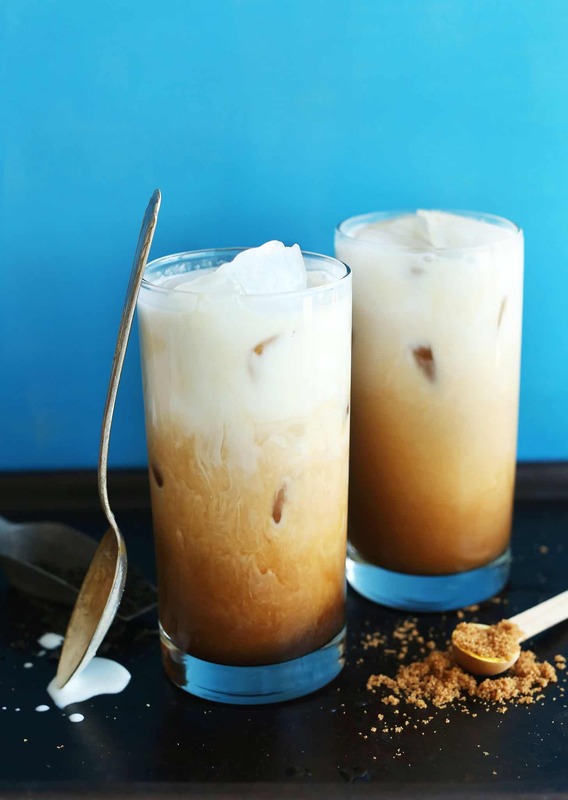 Get the full details for this mouth watering vegan coconut Thai iced tea on Minimalist Baker! We love that anyone in our family or friend circle can enjoy this drink without any concern about their dietary restrictions. If you’re going to go to the trouble of making yourself a delicious coconut based drink from scratch, putting in the time and effort it takes to custom mix something, would you rather make it something slightly more decadent so it feels almost more like a treat than a drink? 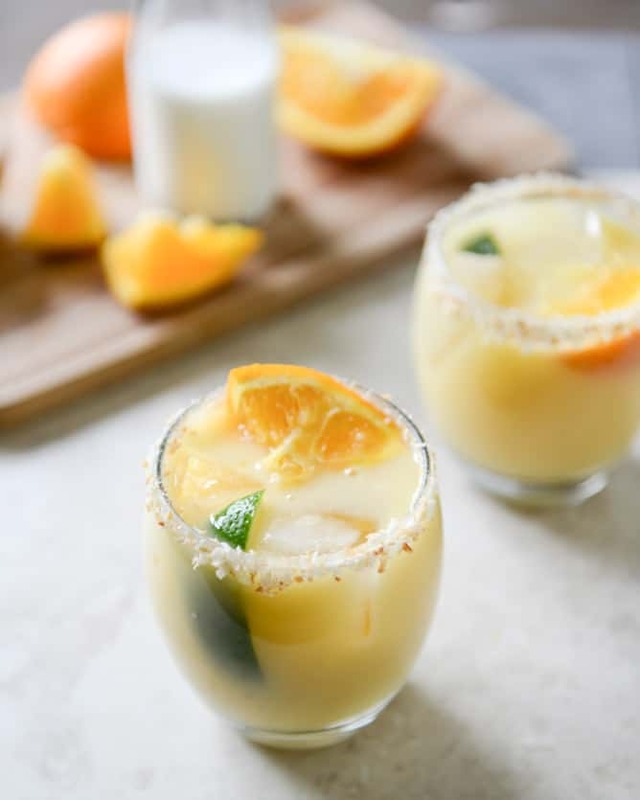 In that case, we’d definitely suggest taking a look at the way How Sweet Eats mixed this coconut creamsicle margarita that’s nothing short of scrumptious. Now, clearly we’re favouring coconut on this list, as we’re sure you can tell, but we think you might notice that there’s one other particular fruit flavour that has popped up several times throughout our list- we’re also completely obsessed with pineapple! 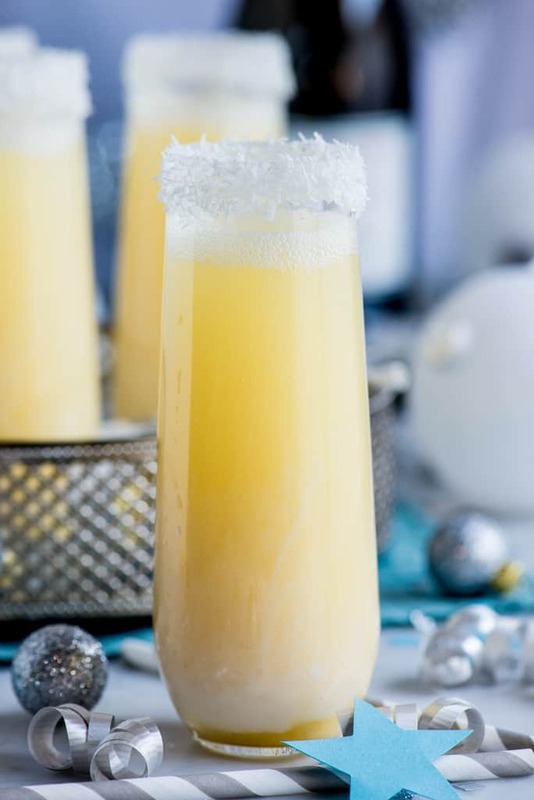 There’s just something about the combination of pineapple and coconut that tastes like magic on the tongue, so we’re sure it’ll com as no surprise at all that we simply had to include this delicious pineapple coconut champagne cocktail outlined by Pineapple and Coconut. This summer, one of the fruit, refreshing drinks we fell the most in love with was lavender lemonade, which we tried because lavender and other floral recipes were trending so hard in all the cute coffee shops around us. Well, we were certainly glad we did because we loved it so much that we made batch after batch throughout the hot weather but now, we’re ready to put a twist on our favourite thing, since that warm weather has, much to our enjoyment, decided to stick around! The moment we saw this coconut lavender lemonade recipe, featured in detail on Wine Traveler, we simply knew we had to give it a try as well. We’re pleased to report that we were not disappointed! 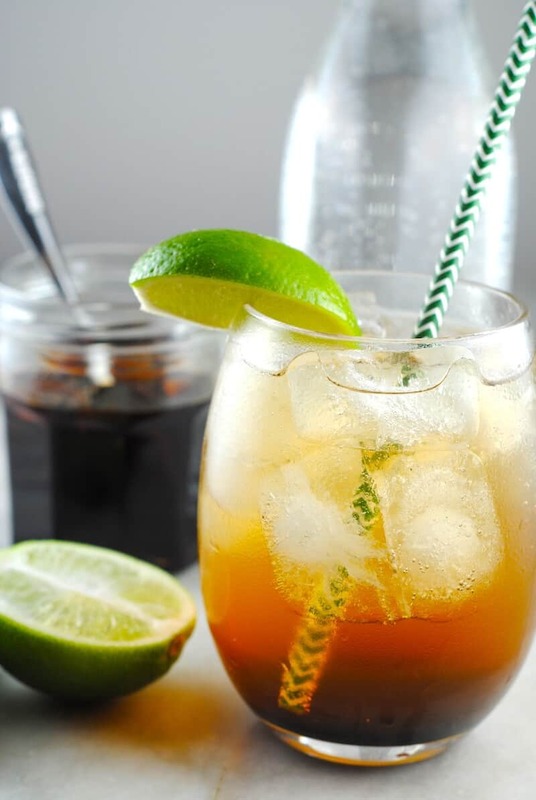 If you’re going to go to the trouble of making yourself a homemade iced drink as a treat, would you rather take full advantage of the fact that you can include any kinds of ingredients you want and get very creative indeed by trying a new fruit in combination with coconut that you’ve actually never tried before? Well, that’s exactly what drew us to this deliciously rejuvenating muskmelon, orange, and coconut iced drink featured on Tarla Dalal! Ever since we were little kids, we’ve always loved smoothies. If we’re being honest, though, our favourite kinds have always been the ones that are nearly decadent in their fruit flavour and creamy texture, rather than the ones that are healthy and packed with nutrients. 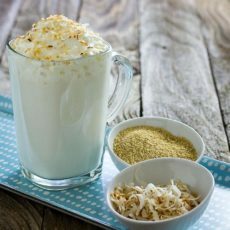 That’s probably why we loved the idea of making ourselves this banana pineapple coconut smoothie topped with whipped cream and toasted coconut shavings so much! Get the full details for making your own on Glue Sticks and Gumdrops. Have we piqued your interest about the idea of making coconut water based beverages quite a bit, but you just haven’t seen the one idea yet that has you completely convinced yet? 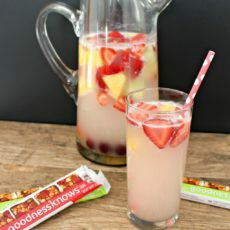 Then we’d encourage you to take a look at how Scrappy Geek made this fantastic chilled and fruit infused coconut water! We love this idea because it gives you full control over what kinds of fruit and berries you put in it, just to make sure you really like the flavour of what you’re creating. Have you actually been scrolling through our list and finding that you’re having trouble choosing between a light coconut water based drink and something a little richer? 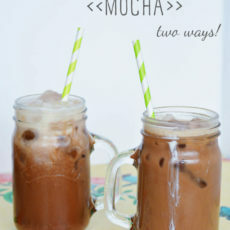 Perhaps you’ve actually been holding out because your favourite iced drinks have always been coffee and we haven’t shown you one like that yet. 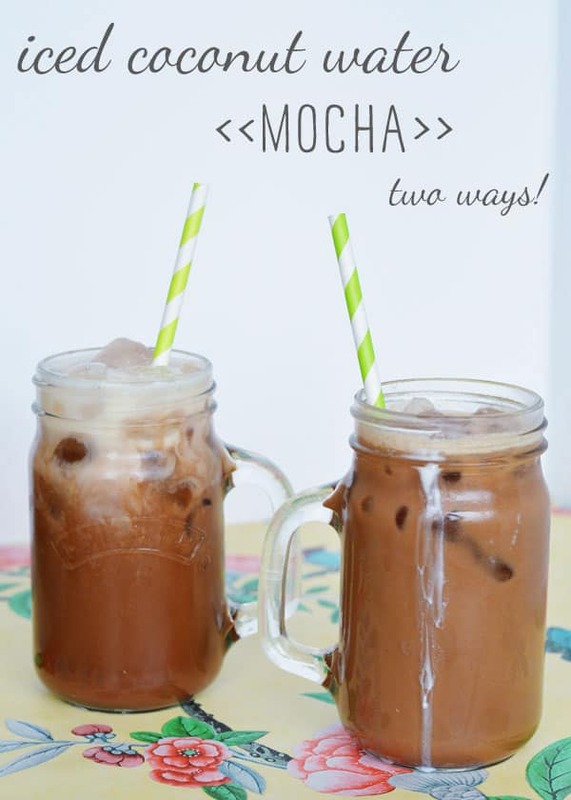 In either case, we think you’ll be pleased to see this wonderfully delicious iced coconut water mocha, outlined step by step with a full ingredient list and mixing instructions on Wholeheartedly Laura! We’ve talked a lot about drinks that are refreshing and rejuvenating so far, but what if you’ve been hoping to find something that will actually give you a little mood boost, just to keep your spirits up this fall? Then we definitely think this electrolyte based coconut and citrus drink featured on Salt and Wind is the perfect thing for you to try! Electrolytes are proven to help you replenish energy when you’re worn out (and the coconut will help make sure you love the taste). Have you actually spent your entire time scrolling through our list and hoping to find some kind of carbonated drink because pops are usually your favourite thing to treat yourself with? In that case, we’d absolutely encourage you to take a look at how The Blenderist hand mixed this fantastically blended coconut ginger soda. The flavour is subtle and yet so unique and tasty that we’ve kept this idea bookmarked so we can make it again. Are you actually still thinking about what we said when we started talking about how drinks can actually be such a treat that they’re basically a dessert, but you haven’t seen anything quite decadent enough for your tastes yet? Then we think you just might be the perfect person to give this fantastically smooth and rich coconut cream pie cocktail outlined on HGTV a try! 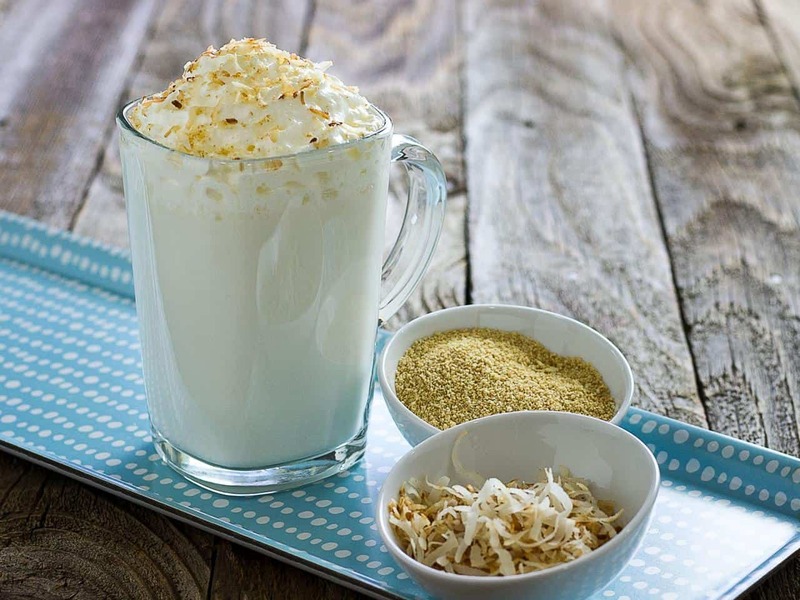 once you’ve got the whipped cream on the top, sprinkled with toasted coconut shavings, we think you’ll actually be quite surprised to experience just how much this drink really does taste like the real thing. Do you know another fellow DIY enthusiast who likes getting creative in the kitchen and adores coconut, and who you know is always looking for new, exciting things to try? Share this post with them so they have all kinds of new ways to enjoy their favourite fruity flavour!